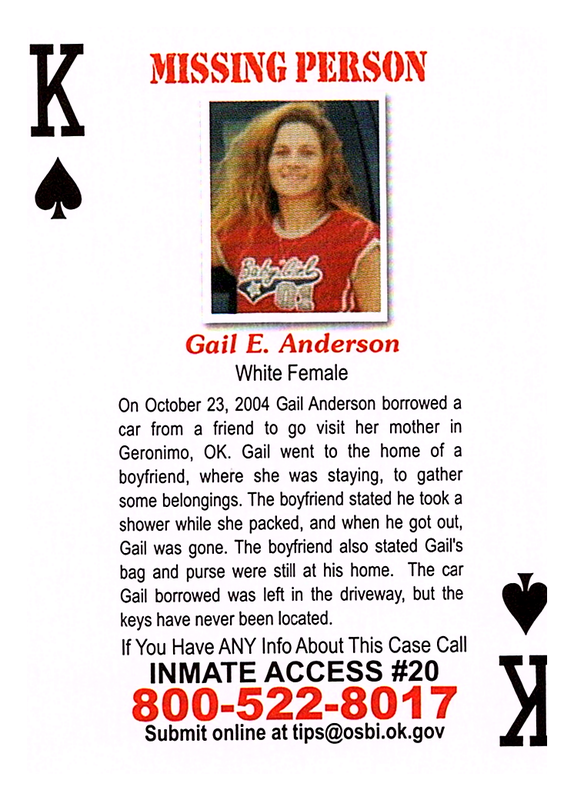 On October 23, 2004, Gail Anderson borrowed a car from a friend to go visit her mother in Geronimo, OK. Gail went to the home of a boyfriend, where she was staying, to gather some belongings. The boyfriend stated he took a shower while she packed, and when he got out, Gail was gone. The boyfriend also stated Gail's bag and purse were still at his home. The car Gail borrowed was left in the driveway, but the keys have never been located.